This piece of Inuyasha/Ayame and Ginta/Shunran fan art is dedicated to nekoDawnlight, who is celebrating his birthday today. 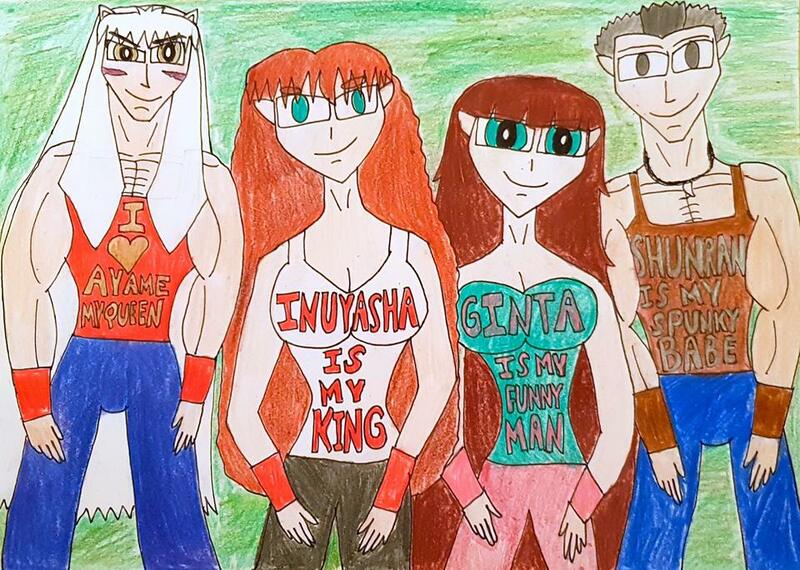 So, I hope you enjoy this piece of Inuyasha fan art I did and I wish you abundance, prosperity, and joy in your life as an artist. Summer love has never looked this amazing, especially when my two beloved Inuyasha OTPs Inuyasha/Ayame and Ginta/Shunran are spreading the love to each other. So, what are you waiting for? Show these two couples some love and spread its word. 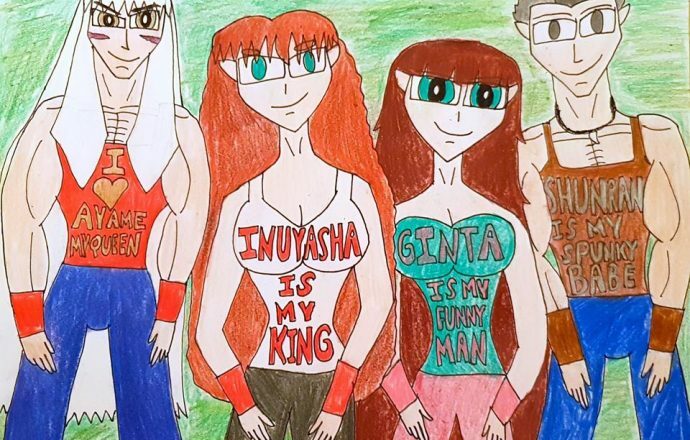 Inuyasha, Ayame, Shunran, and Ginta from Inuyasha belong to Rumiko Takahashi and Sunrise.